Gucci Décor’s 2018 collection. Illustration by Alex Merry. Having long conquered the fashion industry, Gucci takes the world of interior design by storm with their 2018 home décor line. Fans of the iconic Italian fashion house rejoice at the prospect of being able to dress up their homes in signature Gucci. Under the creative leadership of Alessandro Michelle, the 2018 collection sees new additions to its debut line from last year, presenting an interesting assortment of chairs, mugs, tables, ornamental folding screens, vases, trays, candles and more. 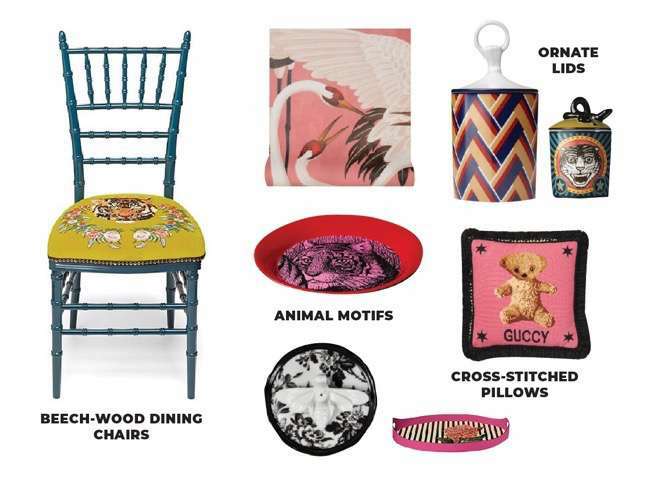 The eclectic décor line preserves the brand’s individualistic style by featuring many of Gucci’s signature motifs and prints, as well as its maximalist overtones. Our favourite pieces from the collection include the medieval-inspired capitonné porter’s chairs – made entirely by Tuscan artisans in a process that takes over 64 hours to complete. Gucci’s famous monogram jacquard also finds its way into the line as upholstery for some of the chairs. The tableware from the collection is designed by Richard Ginori (a 283-year old Florentine company now owned by Gucci) and is heavy in whimsical, vintage floral motifs. The collection launches online and across Gucci stores and boutiques. We rounded up our fave picks from this fierce collection. 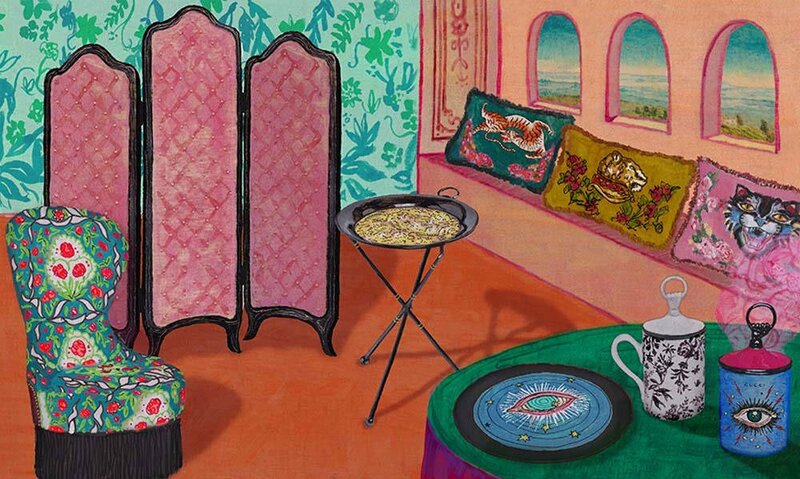 Eclectic Prints and Animal Motifs from the Gucci Décor Line.